Gregorio Marsiaj, Eva Herzigova, Capital Partners founder and CEO Burak Oymen and model Teresa Maxova on red carpet outside Esentai Mall VIP opening party. Photos by Vladimir Tretyakov/Getty Images. HEAD’S UP: Welcome to “Week in Images.” Simply put, it is snapshots – photos, videos, drawings, painting, graphic elements, etc. – that capture select goings-on in New York City and around the world in any given week. “Week in Images” will be published on some Saturdays or Sunday. 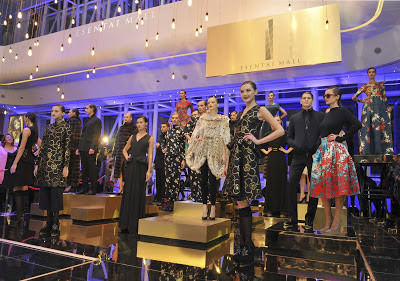 19 OCT. 2012/ALMATY, Kazakhstan – SUPERMODEL Eva Herzigova was a star attraction at a 1,000-person VIP party to celebrate the opening last night of the ultra-upscale Esentia Mall in the central Asian country of Kazakhstan. 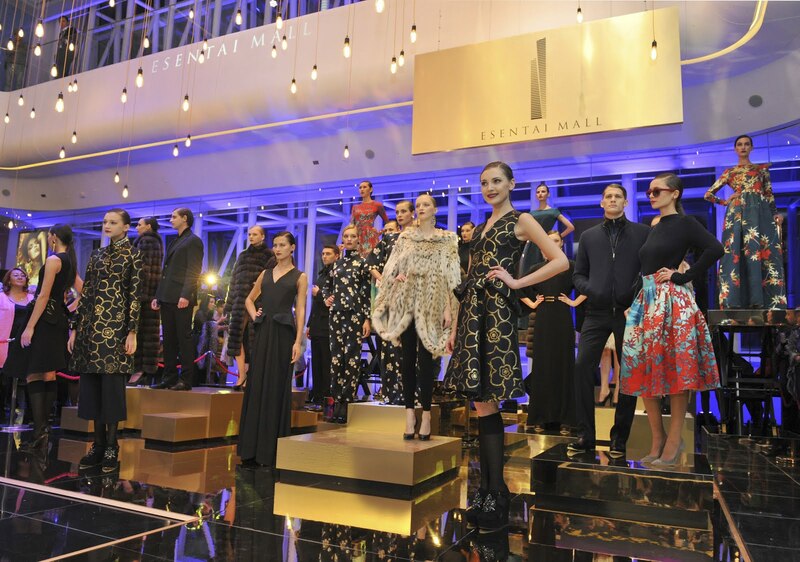 Among brands taking up space in the mall is Saks Fifth Avenue, which is opening its first store in all of Asia. New to the Kazakh market are Burberry, Dolce & Gabbana, Gucci, Loro Piana, Louis Vuitton, Ralph Lauren and Stella McCartney. Coming soon are Fendi and Tommy Hilfiger. The night featured fireworks, an aerial display and a fashion show. Fashion show during the opening ceremony of Esentai Mall. Located in the city of Almaty – considered the financial, commercial and cultural capital of Kazakhstan – the six-story Esentai Mall has 160 stores, a food court and move theater. Esentai Mall, developed by Capital Partners and designed by the architectural firm (SOM) responsible for New York City’s Time Warner Center, opens to the general public today (20 Oct.). Visit http://www.esentaimall.com/ to learn more about Esentai Mall. The scene under the big top at the Target 50th Anniversary party. Photo from Billy Farrell Agency. 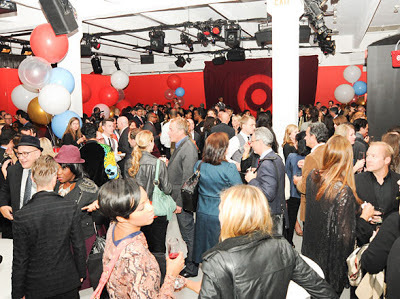 16 OCT. 2012/NEW YORK – TARGET (tar jay) celebrated 50 years in business with a star-studded party with a circus theme at Center 548 in the Chelsea section of New York City. Spotted under the big top were Bullseye the dog, Tony Bennett and Alicia Keys. The singer-songwriter serenaded the retailer with an a capella rendition of Happy Birthday. 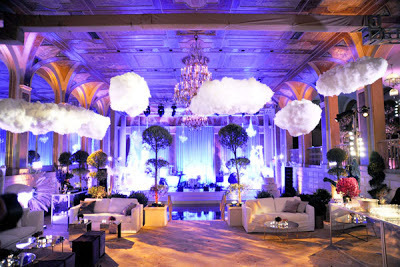 Among the revelations during the party were new collections from Target’s latest big-name fashion collaborators. Get a load of these names: Carolina Herrera, Diane von Furstenberg and Oscar de la Renta. 17 OCT. 2012/MILAN – BARBARA Gonzalez is one lucky devil, and she has a busy year ahead of her. 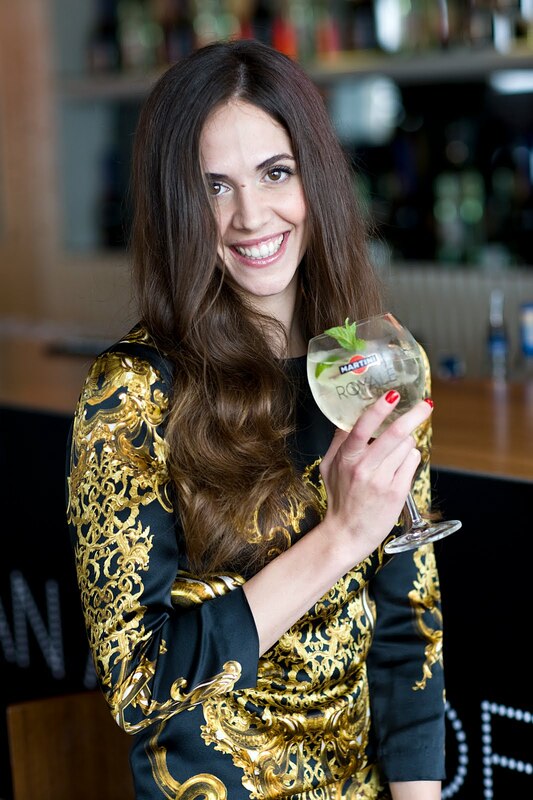 The Pamplona, Spain native has the distinction of being the 2012 MARTINI girl, winner of the MARTINI Royale Casting. She would beat out more than 3,000 competitors from 23 countries for the title in a months-long contest. Several thousand were whittled down to 28 semi-finalists who competed in various challenges (http://www.facebook.com/Martini) for the votes of judges and the voting public before they were reduced to seven. Barbara Gonzalez, perhaps drinking to her victory. Photo by Sven Hoffmann/Getty Images. The seven finalists from which BF was eventually chosen spent a week in Pessione, Italy, the home of MARTINI, competing, having fun and learning some of the history of MARTINI. Part of the Bacardi Group, MARTINI is a leading Italian winemaker and purveyor of aromatised and sparkling wines, including MARTINI Prosecco. It was founded in 1863. Past MARTINI girls are Monica Belluci, Naomi Campbell, Thandie Newton and Charlize Theron. Robert Cavalli and Karolina Kurkova at the Bergdorf Goodman 111th anniversary party at The Plaza Hotel. Photos from Billy Farrell Agency. 18 OCT. 2012/NEW YORK – IT doesn’t look a day over 87. Bergdorf Goodman, that it. A who’s who in fashion and a few other sectors turned up at The Plaza Hotel dressed to the nines, per the invitation, for the luxury retailer’s continuation of the celebration marking its 111th year in business. The question is who was not there? Barack Obama and Mitt Romney, though both were in town. Also Joe Biden and Paul Ryan who were not in town. The calm in The Plaza Hotel ballroom before the Bergdorf Goodman party. Not to worry Robert Cavalli and Karolina Kurkova (wearing RC) helped raised the roof in a ballroom decked out for the occasion. The designer/model duo was among a number of such pairings promenading about the premises. Amongst others were Jason Wu/Erin Heatherton and Zac Posen/Coco Rocha.